Nissan today announced a starting U.S. Manufacturer’s Suggested Retail Price (MSRP)1 of $12,360 for the 2019 Versa Sedan (Versa Sedan S with 5-speed manual transmission). It is available now at Nissan dealers nationwide. The Versa Sedan was upgraded in mid-2018 with the addition of standard RearView Monitor and an upgraded audio system. The new audio system includes a 7.0-inch color touchscreen, Streaming audio via Bluetooth®, Siri® Eyes Free, AM/FM audio system with four speakers and USB connection port for iPod® and other compatible devices plus an Aux- in port. The 2019 Versa Sedan is offered in three grade levels and two transmission choices. The popular SV Special Edition Package has a MSRP of $800. 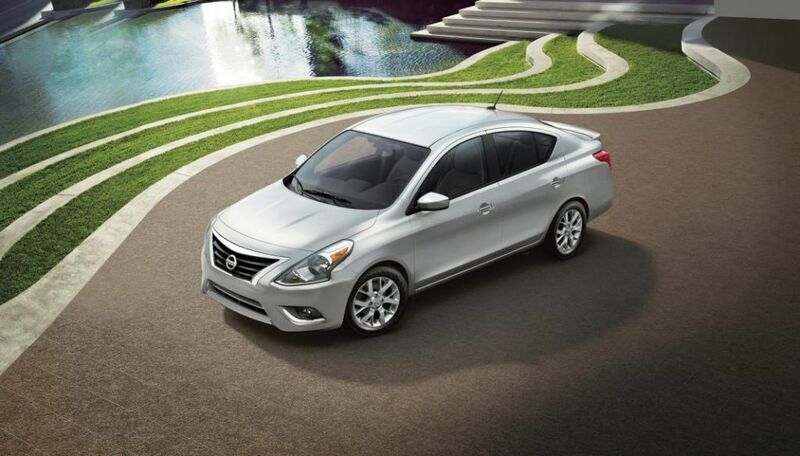 The Versa Sedan’s spacious interior offers unexpected leg and headroom to seat five comfortably. Convenience features include available RearView Monitor and Hands-free Text Messaging Assistant. To learn more about the 2019 Nissan Versa Sedan, visit www.NissanNews.com.